My Saturday had been going along well, there was the ZUMBA class that morning, lunch with two of my most beloved peeps in the world, a little shopping and then home, where I fully intended to keep the feel good party going. A couple of hours into the domain thing and my 14 year old kid knocks on my door and says, “Mom, who’s Whitney Houston?” I was shocked she’d ask. I thought maybe the child has fallen and bumped her head. I replied, “How do you mean? Are you okay?”. She responded, “Yes, I was just wondering if she’s the singer you love so much…” I interrupted with “Yes she is and you love her too”. My favorite teen then said, “I’m on FACEBOOK and everyone keeps saying ‘RIP WHITNEY HOUSTON’…” She kept talking, but I faded out of conversation, picked up my iPhone4S and read the news for myself: The first article (I saw) listed on google. It was as if the power grid tripped. I think I subconsciously blacked out for a few seconds. I was still conscience, but totally unavailable for thought … forget a comment. I didn’t speak for a minute or two. I just sat there. I felt lightly nauseous. I was breathing shallow. Then my good mind kicked in and told me to breathe. I enhaled (big) through my nose and exhaled through the lips. That’s when I heard my daughter saying, “Mom?” I looked at her and said, “Yes, it’s the singer. It’s not a mix up. She’s gone.” I didn’t cry. I was nauseous. Truth was in the room and the lights were on. How sobering. For so long “sober” eluded the topic. I’m melancholy with sober right now. My heart goes out to Bobby Brown. Bobby was in Mississippi about to perform with NEW EDITION when the news broke. He missed the first number they did, because he was obviously yielding grief. However, he was able to join the ensemble on the second number, paid honor to Whitney, then sang TENDERONI (solo) in her memory. Read more about Bobby’s reaction here. My maternal heart goes out to Bobbi Kristina. I can’t imagine her pain. I wish the SISTER COMMUNITY, (Super Star sisters that loved and closely befriended Whit, like Mariah Carey, Jennifer Hudson, and Oprah – even) would look after her. Kind of like God Mothers. You know? Say Bobbi K want’s to go into the music business, she may not be a singer, but maybe Mariah Carey or Jennifer H. could use an intern. Or maybe Bobbi K wants to go into television production, maybe Oprah could facilitate an internship at “OWN” or something. It’s a good idea – right? I just don’t want us as a people to pass Bobby K off as “grown”, knowing good and well, her life is highly comparable to that of a child star. Bobby K will surely suffer from her mothers passing in lows — that many of us will never know. You can say what you want about Bobby Brown and Whit’s relationship. I do believe he loved her. I do not blame him for her demise in any sense. Whitney was a grown woman. I’m a grown woman. My choices are my own. My being the operative word. Whitney loved Bobby – through right, wrong and indifference. And the details therein — are none of my business. I wish every life to be happy. Life is too short to live it any other way. It’s your life. Spend it the way you want to. Blame no one for the way your life was spent. It’s yours. Other folks have theirs to live. Be happy. Love. Live. Whitney did. The power grid tripped and the lights went out. But it was only for a moment and no reason to pout. Whitney was my Leo sister and I too followed her moves. Whitney was grown and her decisions were her own – she had her own groove. She loved Bobby hard and made Bobbi Kristina out of love. Her very existence was a blessing in itself – her voice: a strong vocal hug. A force to be reckoned with. Linger not on her death. Whitney loved life, and left us with her absolute best. Let us rally around the surviving ex-husband and baby. Let’s not blame anyone for anyone – In the end – it doesn’t matter. Let us embrace Kristina with a support’ful demeanor via positive history chatter. 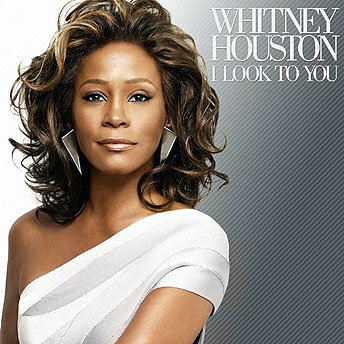 Surely missing Whitney – the reason the power grid tripped.